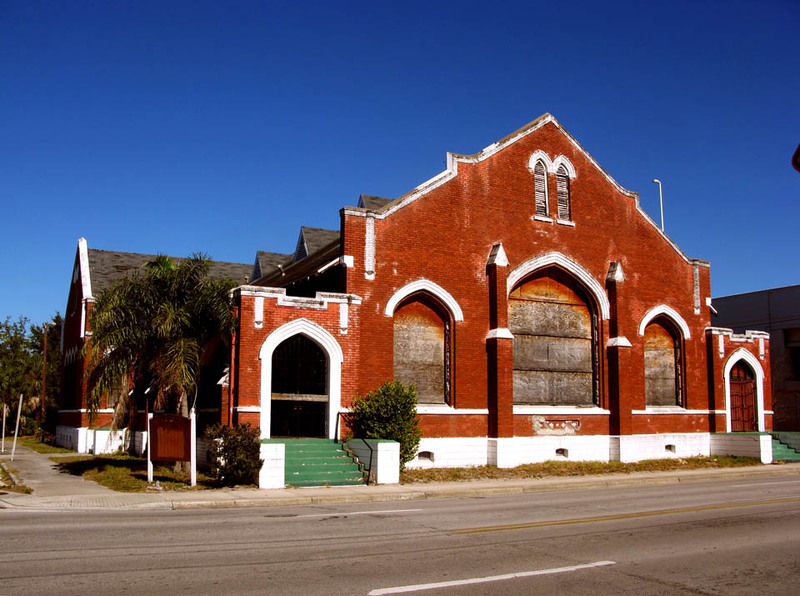 The former Palm Avenue Methodist Church, at the corner of Lamar and Palm, is being renovated by the community. Their goal is to turn the once neglected church into the new Tampa Heights Community and Youth Center. If you are interested in helping, they work most Saturdays from 8:30 – 12:00. Please call Lena at (813) 407-2376 if you have any questions or would like to volunteer. You can learn more about their restoration project on their website. Click the following photo to see a gallery of photos from the inside the Church, before renovation began. One of the few re-photos I’ve seen with the telephone missing from the modern shot! A slight improvement. The original windows have a nice quality with those sharp lines and mostly straight angles. I really enjoy the sharp wood shadows in the bottom shot, against the grungy teal. Very nice textures mixed with high contrast silhouettes; great photo, Bryan. Thanks. I need to stop by the church again to see what improvements they have made to it. My understanding is that they were going to paint over the boarded-up windows until they are able to have real stained glass windows installed. Although the telephone pole is missing, you can just barley make out the edge of the interstate on the right side of the photo. This was not a Methodist Church, it was a Presbyterian Church built in 1923. I grew up at Lamar and Henderson three blocks away and walked passed it several times a day. 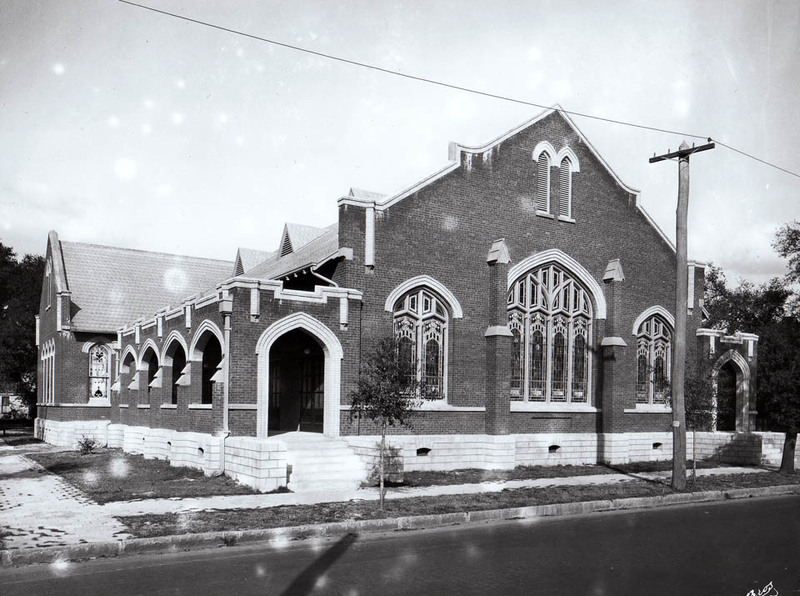 Also Tampa Heights Methodist was just Around the corner at Central and Ross . Why would they build another Methodiist Church two blocks away? My parents and children were members of this church. It was Presbyterian until the early 70s when it was sold. During the 60s I cared for the small amount of grounds surrounding the church.